Email is one of the easiest ways for small businesses to communicate regularly and stay top of mind with potential, current and past customers. But you need to make sure that your email looks professional (clean, well-designed) and communicates effectively (straight to the point, easy to read). 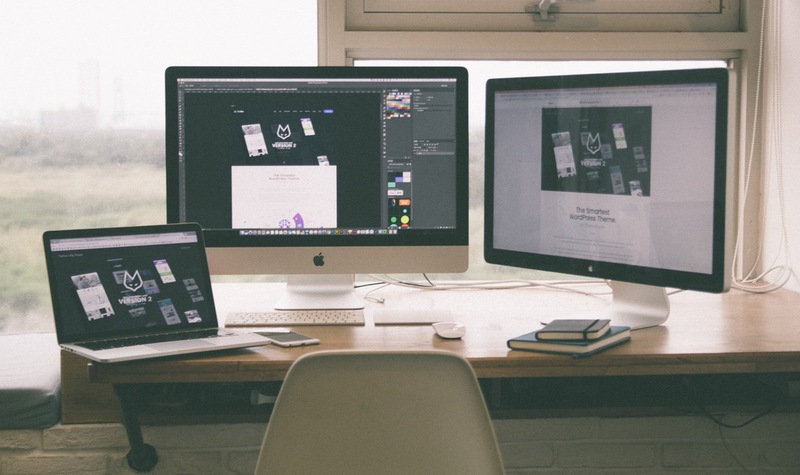 Whether the recipient is on their desktop, laptop, tablet or phone, your email should easily adapt to any environment. Using a pre-designed email template allows you to create beautiful emails and newsletters, but also lets you personalize them and make those emails more likely to be read. In fact a recent study found that about one third of email marketers don’t optimize their email marketing—by personalizing emails, primarily, but also using specific subject lines and customized offers. Only about half of marketers test out different subject lines to see which ones have the best deliverability and response rates. Even though email marketing remains one of the top revenue-generators for small businesses, a surprising number of them send everyone on their email list the same email. Sending out tailored, personalized emails individually targeted to your customers can feel overwhelming – but it is well worth your time. Don’t let the quirky name fool you. 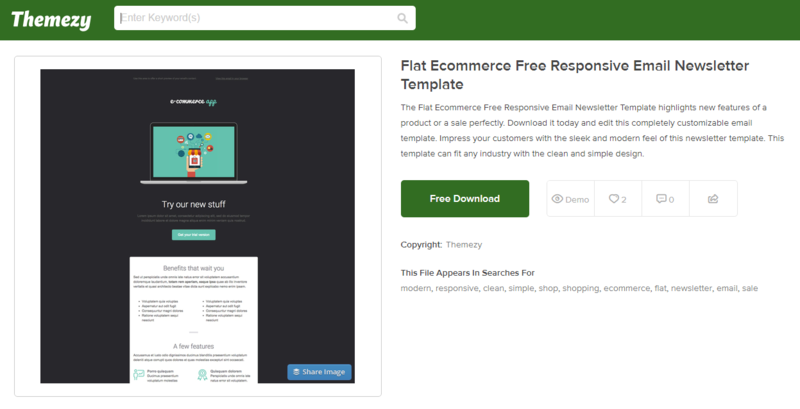 Themezy offers a ton of free, beautiful website themes AND email templates. It’s also a great resource to view the digital creations of artists globally, to help inspire your own creativity. All the templates on the site are free to download and—depending on the license—free to use. And when you choose a template or design, the site shows you what others who have chosen that template also downloaded, helping narrow down the selection of designs you are more likely to want. You may have heard of 99designs as a marketplace full of artist and designers that can provide a logo, branding and marketing design at a much lower cost than an agency. However, it’s also a growing online community and collaboration platform for small businesses. 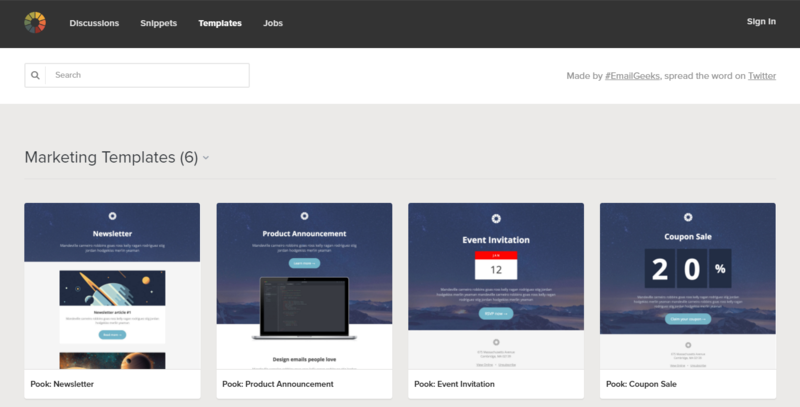 They recently launched their “Email Design” category and ran a contest asking designers to create three templates: newsletter, promotional and notification emails. 99designs chose a dozen of the best and made them downloadable for free on their site. Litmus has a free email templates for all sorts of purposes, like launching a product, selling a product, marketing or account management. Under each category are several design choices, all very clean and straightforward. You’ll have to create a Litmus account to access the templates, but then they’re free and all yours to wow your subscribers with. 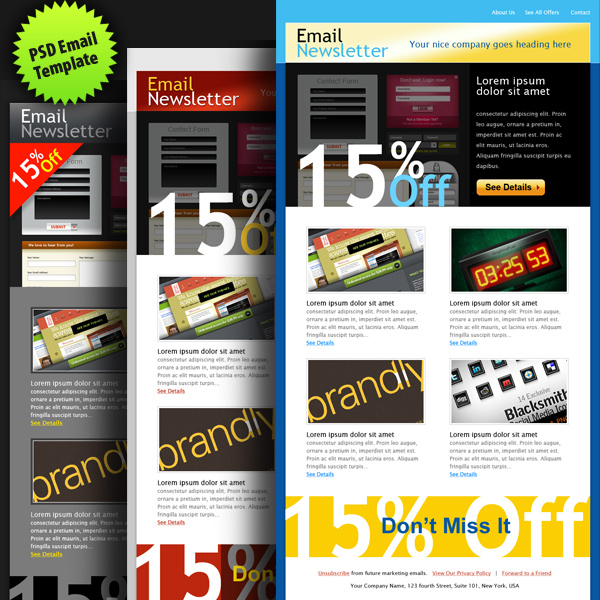 Zurb offers several responsive email templates for free. They don’t have lots of bells and whistles that the other guys do, but they do the job and are easily adaptable to whatever you need. The templates come with a separate CSS stylesheet and HTML file. 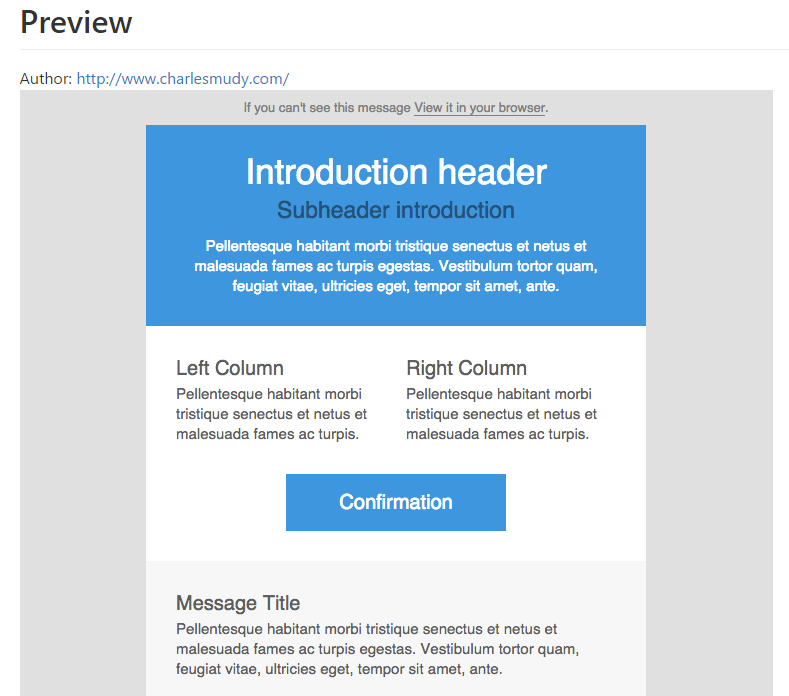 Another awesome resource for more advanced email designers that Zurb offers is their Responsive Email Inliner. If you’ve dabbled in email design, then you know that many email clients strip the <head> tag out of HTML emails. This means that for your emails to look great across all clients, you need to include your CSS styles inline. This tool does it for you automatically – moving the styles for the <head> tag inline. If you’re not code-literate enough to be dealing with complex frameworks, GitHub will help you out. 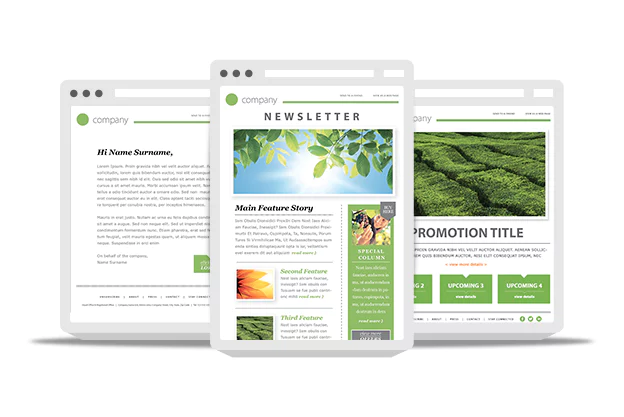 They offer a template designed to work on all major email platforms, and it’s been built to be responsive for smartphones that support media query. It’s also very easy to customize. The Free Newsletter Template from GraphicsFuel is beautiful, clean and modern. 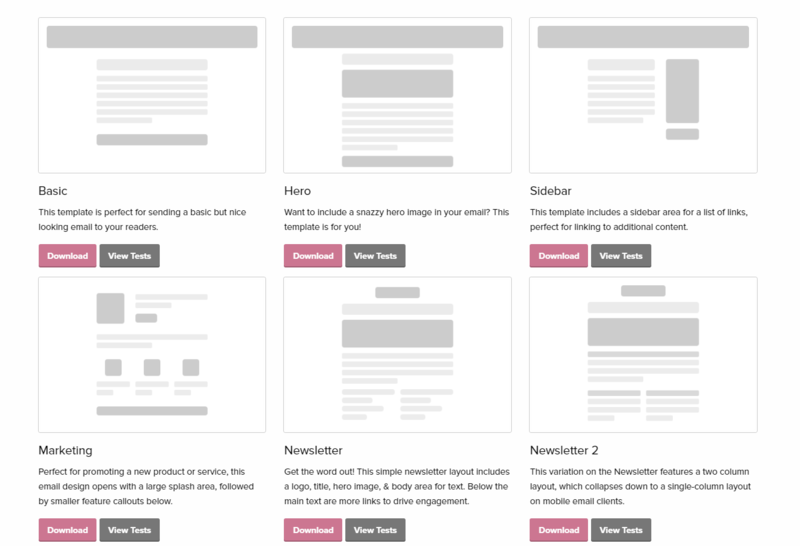 If want you want is a simple design for your email newsletters, this should do the trick. Especially for small businesses in the creative professions—graphic designers, agencies, consultants—this is a good fit. The template comes in three colors and is offered in a Photoshop (.psd) file. We’re huge fans of EOA here at Hatchbuck. Not only do they offer a boatload of email templates, but they also allow you to test your emails for responsiveness on pretty much any platform you can imagine. They’re setting you up for success by allowing you to see how your email will be displayed on any provider you can imagine. No more stretched images or wonky text!